Sometimes you seek it, sometimes it is thrust upon you. Either way, it is in stillness, quiet, aloneness that transformation takes place. In nothing happening, undoubtedly, something is changing, slowly, imperceptibly. I love stories about solitude, My Side of the Mountain, Alone in the Wilderness, Into the Wild… The city can be quiet unexplored wilderness too. Last year, I posted a film about urban spelunking, Undercity. I know places in New York that feel abandoned, desolate, so lonely that you wish you could sit down and meditate among the broken bottles and dandelions pushing their way through the cracks. I also love the films that make solitude almost into a character itself, like Jeremiah Johnson or Frantic. I’m off to Virginia for a week of eating, hunting and fishing. Just want to say THANK YOU to all the readers of deadbait and to wish you all a happy, safe and fun holiday. I’m thankful for your comments, when you share your stories and point me in new directions. Lets keep this little thing going, shall we? In the meantime, I want to make my readers aware of some disturbing news about the rights of anglers in the state of Virginia. If you haven’t heard, a couple of kayaking anglers are being sued by a landowner on the Jackson River for trespass. Now here’s the thing–Virginia Game and Wildlife makes it clear you can fish the streambed of any river in the state, but property owners are invoking an ancient law whereby the King of England grants exclusive rights to the property owner. “After having their criminal trespassing case dismissed by a judge in general district court in 2010, the developer of the River’s Edge golf community near Covington, VA has filed a civil trespassing case against three Virginia anglers who lawfully entered the Jackson river with kayaks at the Smith Bridge public access point (see the VDGIF map) and remained within the river banks while fishing down the river. The developer is seeking an injuction to prevent the anglers from wade fishing a stretch of the Jackson that runs past their adjacent land. 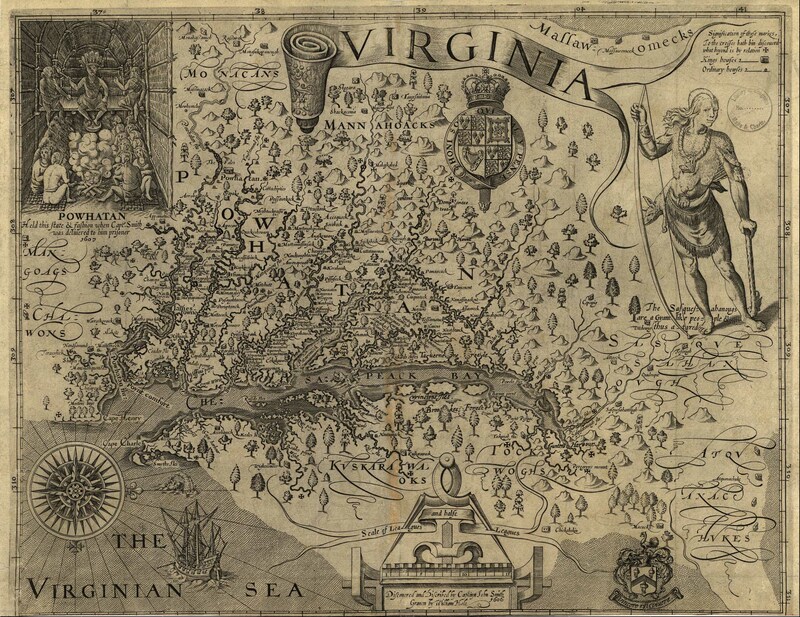 How an old english law still has standing in the US is beyond me, but you can learn more and even help stop this nonsense by going to the Virginia River Defense Fund and giving. Your current stream rights might be safe in your homewaters, be thankful for that, but if the VRDF loses the suit, it could set strange precedents that will affect every state, and every anglers rights. You can donate here if you like. After a few false starts, I’m finally beginning my journey to becoming a hunter. My goal is to augment my family’s daily living with partial subsistence hunting. I’m aiming to learn the fundamentals of foraging (mushrooms, wild edibles) and hunting for meat (fowl, deer). I’ve been a catch-and-release angler for a while, but I’m going to start keeping a portion of my limit for the freezer too. First up–I’m taking a deer hunting and dressing class by locavore activist and hunter Jackson Landers over Thanksgiving holiday in Charlottesville, VA. Landers new book, The Beginners Guide to Hunting Deer for Food just hit the shelves, and he’s working on a geese-hunting guide as well. I’ll be down there with one of my fellow Gowanus Noodlers and a few other guys getting the fundamentals down. The two-day class includes instruction in shooting, stalking, and field-dressing a kill, along with lectures, lunch, plenty of jawing. Jackson’s work has been well-documented in the NY Times and other places, for his desire to help urbanites and folk who didn’t grow up hunting but always wished they did, to get in the game. I’m excited. If you think about it, hunting for deer is the most inexpensive way to put organic, grass-fed venison on the table. And I happen to love venison. Its taken me a while to find the best way for me to get into hunting, so I hope the trip is rewarding. Obviously, I’ll be getting the basics, but nothing replaces being out in the field with an experienced guide putting those skills to the test. And I still have the class and licensing to do here in NY state. Hopefully in 2012 I’ll be able to report back on a successful hunt of some kind. By the way, documentary filmmaker Helena Swedberg has been filming Jackson’s work. You’ll see in the clip below, Jackson, an insurance-broker by day, is not your typical mountain-man or redneck–he’s just a regular joe who loves gooseburgers and wine, who has made subsistence hunting a passionate part of his conservationist approach to life. Not sure what I was thinking hitting Soho and Nolita on a pre-holiday weekend, but me and the girl needed to do some window shopping. 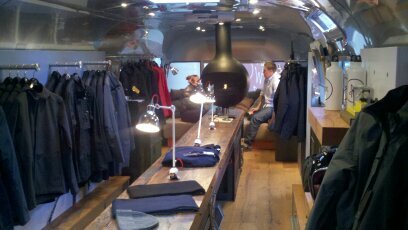 We hit the Barbour store, the new Frye store (dope), and noticed Aether Apparel had a sweet little pop-up. This is a brand edging its way into my closet, and now my blog, as they executed a camp-themed pop-up in a converted Airstream trailer with an attached Armbruster tent (America’s oldest tentmaker). With local brands like Best Made Co., and SIGG alongside first aid kits, pictures of the mountains and other survival gear, L.A.-based Aether jackets were lined up alongside a 1o’ wooden table and below a floating fireplace. Minimal, refined, modern, Aether has all the things I’m looking for in technical performance gear–just have to tell Santa. 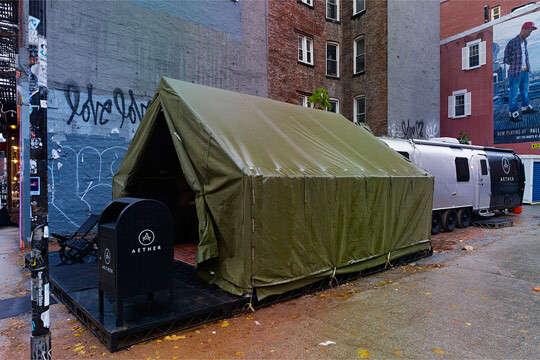 Located on Prince and Mulberry, the trailer is parked in a lot and open for business til the end of Dec. Checkout the Aether blog too, great adventure articles. 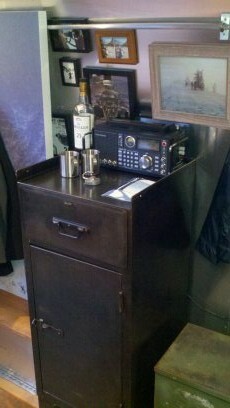 I loved the technical gear that Aether put out, but was taken by the Armbruster tent. It says alot about the brand that they chose an Armbruster tent to add to the pop-up. Illinois-based Armbruster has been making tents since 1875 and is still owned and operated by its founding family. 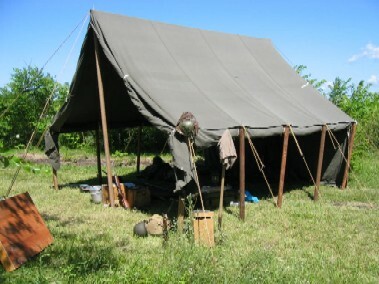 During WWII they manufactured canvas tents for the US govt. Those tents are now available off the original drawings and equipment they used…original gromets, 14oz duck canvas, thread. Amazing. This edition of Film CRAFT focuses on the building of fly fishing tools. Having taken a fly-tying class recently, I realized that fly-fishing was and remains, a cottage industry, with many dedicated craftspeople. There are of course hundreds of videos of fly-tying online, but I thought I would share a broader selection of craftsmen who make the sport that much more beautiful. Bernard Ramanauskas has made bamboo cane rods for Scott Fly Rods and many select clients. This nice short features Bernard building and fishing. Seattle-based Kelly Neu built her drift boat out of $300 of materials, driftwood, reclaimed lumber, spit and elbow grease. 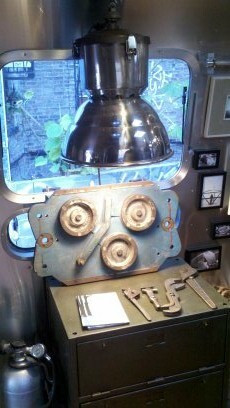 She chronicled the dory build on her blog and in a killer time-lapse video. Schliske Bamboo Fly Rods made by angler, filmmaker and master rodmaker Matt Schliske of Fort Collins, CO are true works of art, but as you’ll see at the end of the video, they work quite well too. This short for the Fly Fishing Film Tour features Schliske and buddies on the Rattlesnake Creek fishing private waters, drinking and droning. My kind of outing. Japanese tenkara angler, Katsutoshi Amano ties his flies by hand (no vise). Matt Stoecker is a different kind of craftsmen, he’s a conservation biologist and his craft is in protecting and restoring steelhead habitat. He works to remove old dams to provide access for steelhead migration. He also blows up dams, hell yeah. Lastly, I want to share this gem of a little short by Aussie creatives, Urchin Associates, for the global charity, Movember. Briefly, if you don’t know, Movember is a global movement that ask men to forgo shaving for the month of November to raise money for prostate cancer research. A “red tag” fly is tied by the river by “Blake.” Blake’s not famous, he’s just a fisherman, like so many of us. It just goes to show, that every angler can be a craftsmen (and make a difference too). 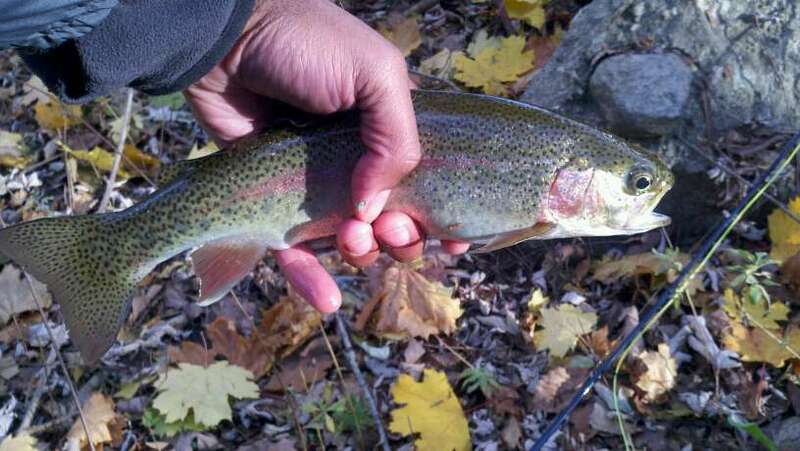 I caught up with one of the guys on the Westchester fishing forums to fish the East Branch of the Croton recently. Appropriately nicknamed, “Elsewhere”, we had been PMing each other about a salt or freshwater trip (my forum name is “Brooklynite”). Turns out, he’d never been on the EB and since I spent most of October on the salt, I figured what the heck. I wasn’t counting on the 200 CFS which makes the normally serene and mellow crick turn into a formidable little river. I wasn’t counting on Elsewhere not ever catching a trout on a dry either, though he’s definitely a salt-native. Not that it mattered much because with the high water we’d be swinging flies where we could. Getting up there by 9am from Brooklyn means getting up at 6:00am but its worth it to beat the traffic and watch the orange rays of the sun warm the Putnam valley. If you get past the Hutch (Hutchison parkway) and on to 684 by 730 or 8 then you’re likely to encounter a fog bank or two. This is only a minor problem, as the lure of being first on the water pulls you continually forward onward to Brewster. Fog be damned. Once this summer I was on the EB just as the sun peaked over the edge of the spillway near the inlet. There was fog on the river bottom and I watched a family of deer make a crossing, including two young fawns splashing in the water. The goal for that early rise was to catch a trico hatch, my first ever. Imagine the air filled with tiny white flies, it looks like when the wind hits a snowdrift on a bright winter day and the ice crystals rise into the air. The tricos didn’t disappoint, but my presentation did, and I had to wait until later and a caddis hatch to hook up. I beat Elsewhere to the water and took to scoping it out. It didn’t look promising, but since it was his first time on the water, I planned it out. We would start at the “bathtub” pool, then fish slowly down to the sodom bridge pool, skip a couple hundred yards of light riffles and hit the tailout of a long glide pool, then hop down to Phoebe’s hole. Then lunch at Norm’s (chili makes 50 degree water enjoyable), then maybe downstream to the trestle bridge pool behind the Honda dealership. If we were feeling lucky, we could hike a bit out of Brewster and stalk ‘bows nearer to the outlet. Elsewhere was a keen optimist, and I decided I like him, because I like people who look on the brighter side of life. He was optimistic all morning, but every now and then remarked that he was a salt guy. He mentioned something about getting skunked over beers at lunch and I told him to perish the thought. See, we were putting our time in. Every angler knows, that a river doesn’t just give it up. You have to get in-tune with it. And we did, eventually. 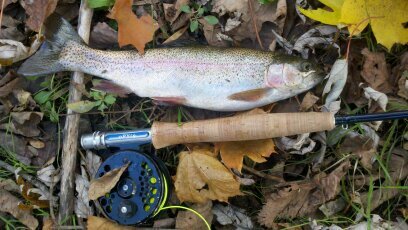 After lunch, ignoring the calm wide pools, Elsewhere attacked the high riffles with gusto, a sinktip and a muddler minnow on the swing. Bump, and he had a rainbow on. But rainbows love riffles, they surge, they turn, they jump. They aren’t like browns, all ambush and dive. This rainbow wanted off the line. Then, calamity. Recasting in futility, Elsewhere snagged and yanked too hard. SNAP! went the rod tip. That’s called paying your dues. He took off to retrieve his nippers that he’d left behind at the bar and to go for the spare rod in his truck. I sighed, and took a deep breath. We had about an hour of light left, and in patches of sunbeams I caught a glimpse of a hatch. A hatch? It was 43 degrees out, the water was about the same, a hatch? I crept down to a pool and up to eddy where the water turned back in on itself. There they were, like little sailboats with the most beautiful dusky wings. I picked up the little bug off the water, a blue winged olive, blue wings, olive body, the BWO. There were dozens of them on the pool. Where were the rises, where were the trout? I stared at that pool for ten minutes. I lifted the 5wt and he was on. Out came the net and he was landed in under 10 seconds. No chance was I letting this muscle-bound rainbow take me for a run. No playing around here. In the net and a brief moment to admire the fish in the dusk, and back in the water. No harm no foul. I’m sure he probably took a few minutes to shake it off and went right back to his meal. As I stood up, I felt my fingers cramp from the cold, but I let my goofy grin out and said a small prayer for a very late BWO hatch on a cold Autumn day. Elsewhere and I probed the riffles and pools, saw a few bassy splashes and decided it was time to knock off. From dawn to dusk, we had put our time in on the East Branch. I had paid my dues months before, all summer long and perhaps, I was enjoying the benefits of being a paid-up member of the club. I’m certain Elsewhere will go back and find his own brown or rainbow there. I just hope he can get one in before all the leaves have fallen and the icy grip of winter pushes away all but the most determined anglers. The East Branch always takes its toll. Just about everyone I know is aware of my obsession with bourbon and whisky. I write often about great brands. I love the stuff. 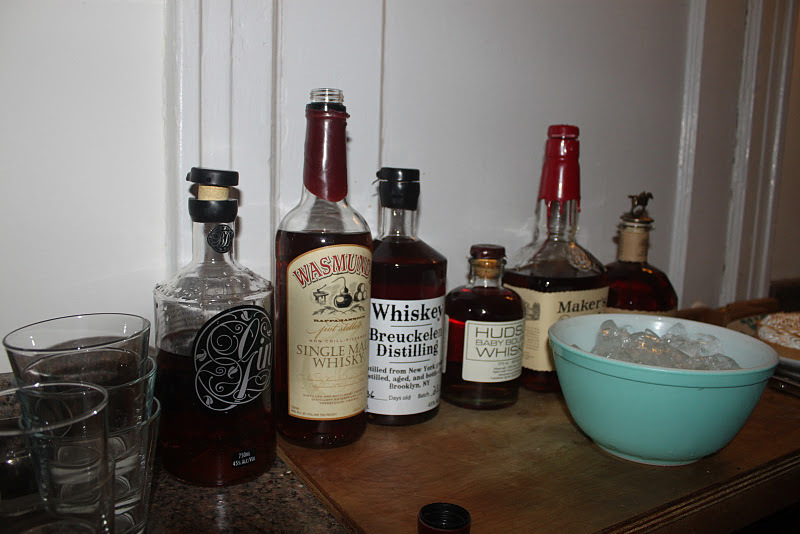 In fact, on my birthday recently, I received no less than six different bottles, which we promptly sampled. I follow a couple of good whisky blogs too…and want to recommend my friend Drew’s blog, The Association of Bourbon Samplers. When Drew isn’t arranging PR events for a select clientele or defending besmirched reputations, he can be found researching great bourbons, cocktails and the art of the pour. Though I have yet to pick up my official pin, I consider himself a defacto member of his cadre. He owes me a session at Char No. 4 in Cobble Hill too come to think of it. On the way to a conference where I wanted to look good but sans tie. Needed a simple reminder this morning. Thanks to Art of Manliness for the lesson. 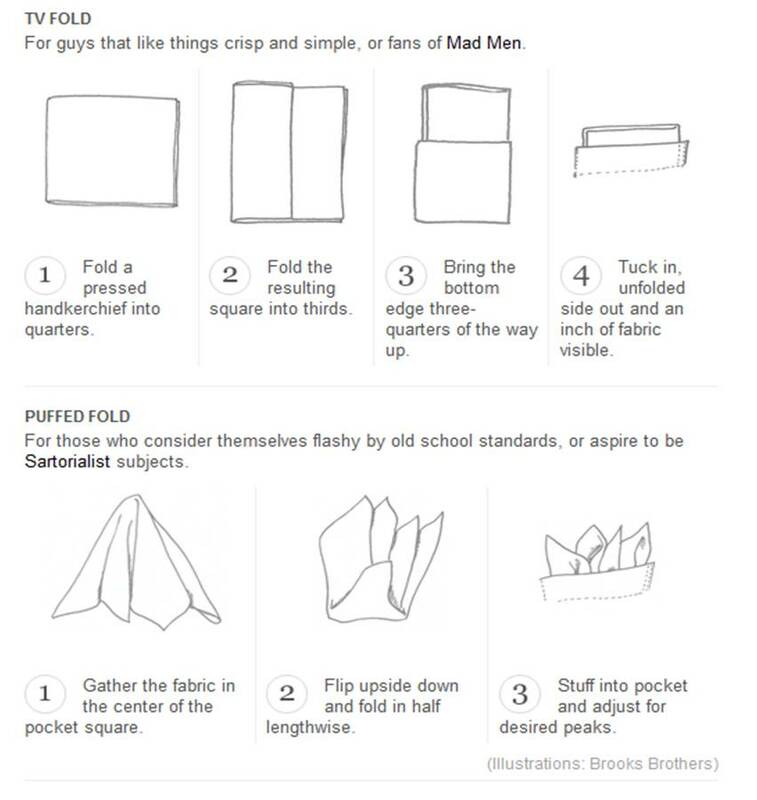 Valet has a good illustration via Brooks Brothers for the more sophisticated gent in their “handbook”. 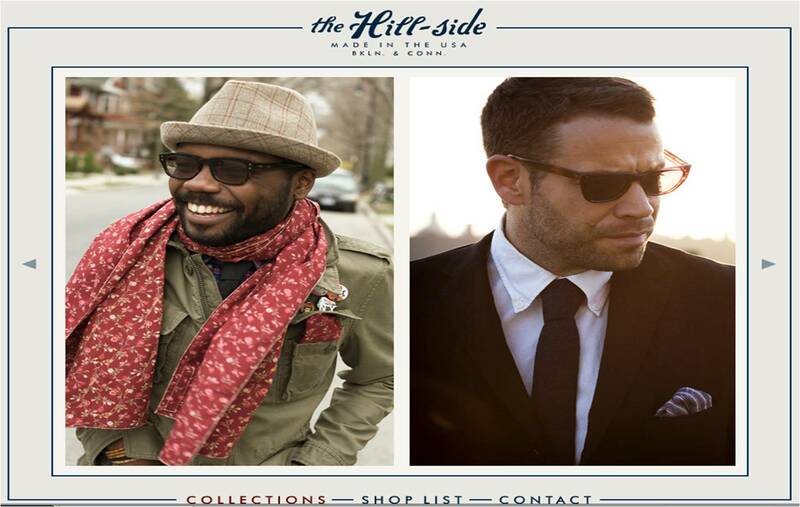 Finally, if you’re in the market for a pocket square, do check out Alexander Olch or The Hillside. Handmade in NY, top quality, ’nuff said. 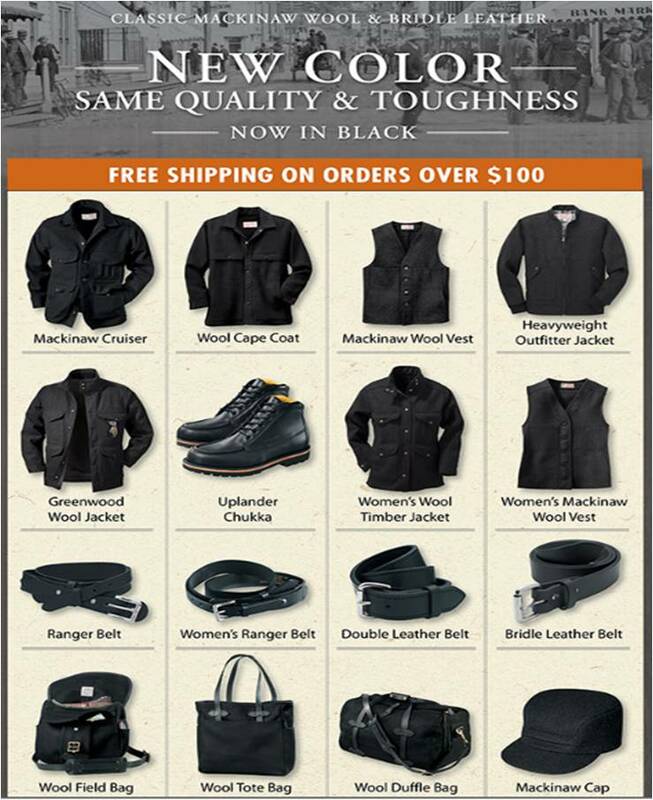 Filson announces many of their best-selling items now available in BLACK. Urban outdoorsmen, rejoice! I would love to test out those Uplander Chukkas if Filson could spare a pair. 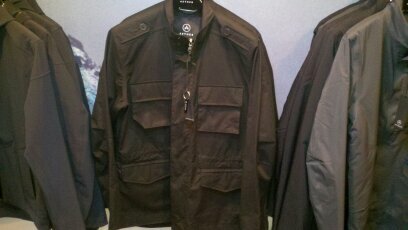 Still holding out that Filson will bring over more dope sh*t they make for the Japanese market (Filson Red Label). My little hard cider homebrewing experiment is going well. After 10 days, it’s time to seal-off the cider. 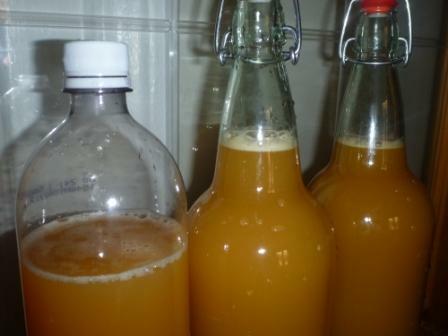 This will cause the fermentation to build-up and effectively carbonate the beer (though its well on its way already). The brew should have about a 3% alcohol content. Frankly, its neat to see the brew coming along. The yeast has steadily consumed the sugars, and you can smell the faint whiff of alcohol off the cider and the yeasty goodness. After a couple days of charging, its into the fridge for cooling–which will kill/stop the yeast from consuming the rest of the brew. I figure by the middle of next week it’ll be ready for consumption. If it goes well, I’ll immediately launch into a Thanksgiving brew. 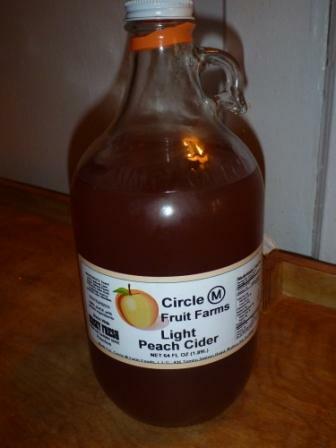 I’ve picked up some light peach cider from a Jersey farm–gonna turn that into hard cider too. Again, this was a dead simple project that was inspired by the recent launch of the Hudson Valley Cider Route.